We’re back with the last group of generous contributors at the KITTEN HEEL Level. P’zzazz Custom Upholstery is owned and operated by the uber-talented Pam Rollins. She’s responsible for some of the beautiful furniture transformations in my home office since we moved to Meadow Branch Farm. But recently, she has branched out into some additional fun, artistic projects which you’ll get a chance to preview first-hand at the garden party. Introducing her Custom Embroidery services, Pam is stitching up a storm and will be donating some beautiful custom made table runners as well as a stunning wall hanging with a special Soles of Love quote. Last week I shared the pillow she stitched containing this year’s themed quote. Needless to say, I haven’t stopped thinking of fun projects I want her to work on since! If you need superior upholstery work, Pam is your woman. But if you’re ready to create some unique, whimsical pieces to add to your decor, you’re only limited by your imagination. And trust me…. Pam has plenty of that. Look for her work on August 3rd and don’t forget to find her in the crowd! Zainali Orthodontics. 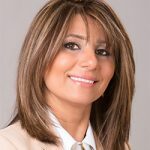 Dr. Lobat Zainali has been a practicing Orthodontist for over 25 years. She, too, is a fellow Rotarian and someone I am lucky to spend my Wednesdays with. My only regret about Dr. Zainali is that I wish I would have known her years ago when I made the decision to get Invisaligns as an adult to correct my overcrowded mouth. You can help me right that wrong by calling her for your consult because it’s never too late to have the smile you’ve always wanted. She is caring, friendly, and so very proud when she is able to announce that one of her patients has “graduated” (the term I used when I was finally able to stop wearing my braces full time.) Lobat and I also share a passion for raising up women and recently were mentors in the same class offered by Woman to Woman Mentoring. Lucky is the woman who gets to call Dr. Zainali her mentor. But the truth is, it is a role she shares liberally as she encourages and raises up everyone she sees. She is class, elegance, and professionalism. I’m proud to call her my friend. Schoolery- Jewels for Schools. Jo Butler is a woman on a mission. With a heart filled with passion for the nonprofit organization she founded, Jo can be seen everywhere sharing her artistic jewelry treasures which serve as the primary funding source to help young women in Ethiopia. She is the closest woman to Oprah I know, travelling across the world for a good part of each year to educate, mentor, train, and empower young women to be their greatest selves. The jewelry allows her to make that happen and so I wear mine proudly and support her local shows whenever possible. Be on the lookout for the next one but should you not want to delay your support, check out her Etsy page and begin today. Because it’s never too late to make a difference. Just ask Jo. McLaughlin Chiropractic. For Dr. Mimi, chiropractic care is a family affair. 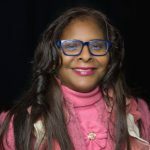 Providing services to infants, youth, adults, and seniors, she believes that good healthcare can never begin too early. 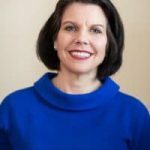 For the past 23 years she has been helping families in Frederick County and beyond achieve a healthier lifestyle through professional chiropractic practices. In addition to traditional services, Dr. Mimi demonstrates her exceptional speaking and training skills by offering a variety of workshops on topics ranging from posture, stress reduction, weight loss, and digestive health. She practices what she preaches and just being in her aura makes you want to be a healthier person. Because good health creates energy and Dr. Mimi has plenty of that. When she’s not adjusting patients, Mimi is an active mom and community leader, lending her time to a variety of community and civic organizations. Soles of Love is honored that we are one of her chosen causes. Woodsboro Bank. Much has changed in the 100 years that Woodsboro Bank has been serving the Frederick County community. But one thing remains the same- their commitment to Frederick and the customers they are proud to call their own. 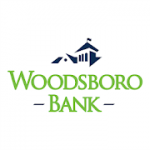 With a new brand and a fresh accompanying attitude, Woodsboro Bank is creating great vibes within the community. You’ll see their close knit team at events all around town as evidence of their belief that community banking is about just that: giving back to the towns in which they live. The ladies of Woodsboro Bank have been long time attendees of Soles of Love and so it’s with much excitement that I welcome them as first time Sponsors.